Woody Island near Esperance - former domain of Black Jack Anderson. 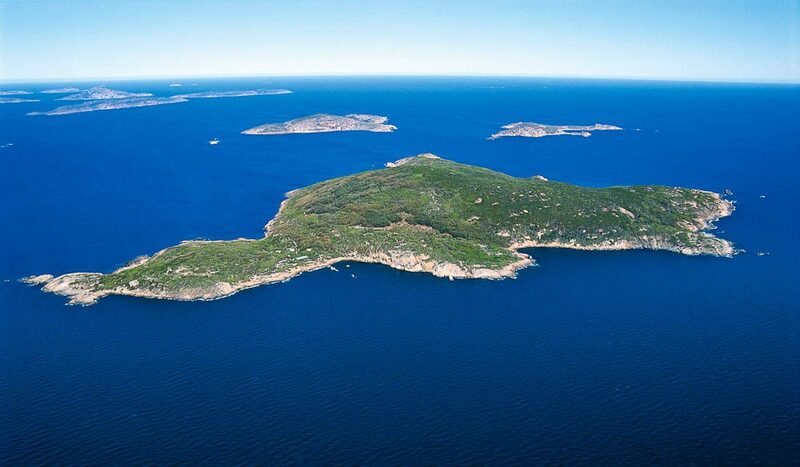 The Recherche Archipelago is a beautiful collection of over 100 islands (and 1500 ‘islets’) scattered along the sparkling sapphire coast of Esperance. The archipelago is full of shipwrecks to explore and was home to Australia’s only recorded pirate, Black Jack Anderson, in the 1830s. Originally from the US, Black Jack – a former whaler – turned to piracy after being accused of murder, basing himself on Middle Island, hunting seals and plundering passing ships until he was murdered in his sleep. Esperance Island Cruises will introduce you to the archipelago, its wildlife and marine life, with stories and commentary about its colourful history.